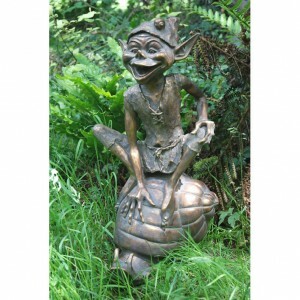 This cheeky cast resin Pixie is sure to put a smile on your face, even on a wet day he’ll add some fun to your garden. This fun cast resin pixie is sitting on a snail, hope he holds on tight! Finished in a aged bronze colour effect this figure is 64cm tall.